The sponsors of the Yamal LNG project in Russia announced the commissioning of the first LNG train ahead of time. The first LNG cargo has been loaded and is in transit to Europe. Portland advised China Development Bank (CDB), China Eximbank (CEXIM), SACE, BPI (COFACE), JBIC, EXIAR, Euler Hermes and EKN on the US$19 billion limited-recourse debt financing which closed in 2016. Financial close on the landmark $4.6 billion debt financing for the Coral South FLN project reached financial close yesterday. Portland acted as ECA Advisor to Bank of China, China Eximbank, ICBC, KEXIM, KSURE, SACE and BPI (COFACE). The project is an gas production and liquefaction development based on a floating LNG vessel offshore Mozambique. Project sponsors are Eni, CNPC, Kogas, GALP and ENH. The project comprises the development of an offshore gas field connected to a floating gas processing, LNG liquefaction, storage and offloading vessel located above the field with a capacity of 3.5 million tonnes per annum. 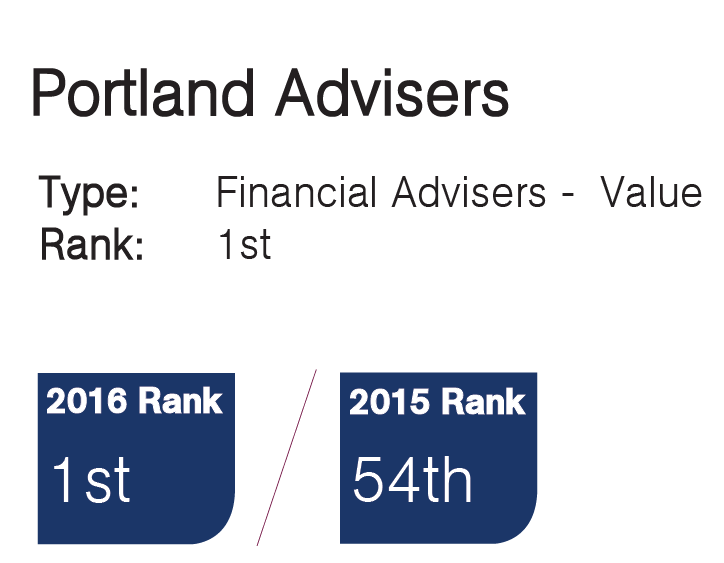 The league tables are out, and Portland Advisers has been confirmed by Infrastructure Journal as no.1 Financial Advisor by value in 2016 following a very successful year. This follows the closure of transactions such as Yamal LNG and OCTP, and confirms Portland’s well established position as a leading Financial Advisor in the key infrastructure sectors globally. Further information can be found by clicking here. On 15 December 2016 Yamal LNG signed a 15 year loan agreement with the Japanese Bank for International Cooperation (JBIC). Portland advised JBIC in relation to this financing. The financing is the final piece of the overall $19 billion financing for the Yamal LNG project which also comprises facilities from Chinese and Russian lenders and loans supported by SACE and COFACE. Portland advised China Development Bank, China Eximbank, EXIAR (the Russian export credit agency), SACE, COFACE and JBIC in relation to this ground-breaking financing. On 12 December 2016 Yamal LNG signed 15 year loan agreements supported by Servivi Assicuratavi del Commercio Esterio (SACE) and Compaignie Francaise d’Assurance pour le Commerce Exterieur (COFACE). Portland advised both SACE and COFACE in relation to these financings. These facilities are in addition to the $12 billion of financing provided by the Export-Import Bank of China and China Development Bank in April 2016, on which Portland also advised. On 29 April 2016 the Yamal liquefied natural gas (LNG) project signed 15 year loan agreements with Export-Import Bank of China and the China Development Bank equivalent to $12 billion. Portland advised the Chinese banks in relation to this financing. The project has already secured state loans of 150 billion roubles ($2.3 billion) from Russia’s National Wealth Fund and $4 billion equivalent from Russian lenders Sberbank and Gazprombank. Yamal LNG is a 16.5 mtpa LNG project located in Western Siberia, owned by Novatek OAO, (50.1%), Total SA (20%), CNPC (20%) and China’s Silk Road Fund (9.9%). Following the award earlier in the year from Global Trade Review, Portland’s financing of the Seabras-1 cable project was today awarded the “Perfect 10 ECA Finance Deal of the Year” by the prominent international magazine Trade & Export Finance. This award is given to the world’s best projects in the export credit agency/project finance market. The Perfect 10 Award is the second award this quarter to recognize Seabras-1 as the first export credit agency-backed project financing of a subsea cable project in the 160-year history of the global telecommunications industry. Following the achievement of Financial Close late in 2015, the landmark nature of the transaction has now been recognised as the Seabras-1 cable project was awarded “Best Deal of 2015” by Global Trade Review. Seabras-1 is the first Export Credit Agency-backed project financing of a subsea cable project in the history of the global telecommunications industry. Nick Flitterman and James Benbow from Portland’s telecom team advised Seaborn Networks on the successful project financing for the new Seabras-1 subsea cable connecting New York and Sao Paolo. The senior debt will be guaranteed by the French Export Credit Agency, COFACE, and funded by a bank syndicate of Natixis, Santander, Commerzbank and Banco Intesa. Equity will be provided by Partners Group. The transaction is a landmark deal as the first ECA-backed project financing in over 10 years. More about Seaborn and the Seabras-1 project can be found here on the company website, or visit our case study page here. Portland Advisers is a financial advisory boutique bringing together banking and advisory professionals who have extensive experience in their respective markets. Through our teams based in the UK and Hong Kong, we provide expert, value-added advice on all aspects of the financing of infrastructure, energy and mining, and telecoms projects across all regions of the world. © 2019 Portland. All right reserved.